Cabarete, Dominican Republic. 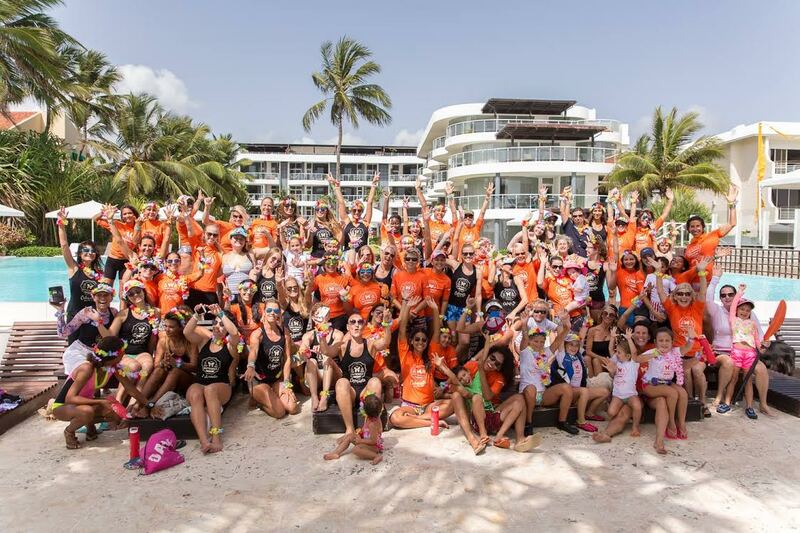 The 10th annual Butterfly Effect Cabarete landed in Cabarete on July 2nd, 2018. This year’s event registered 100 women and girls from all over the world. Local and visiting women gathered in Cabarete to complete either a 2km downriver paddle course from Islabon to La Boca or a 5km advanced downwind ride from La Boca to Cabarete Bay. The water women and girls of Cabarete brought together their individual athletic abilities to celebrate their solidarity. True to the events core belief, many other girls and women were inspired to get out on the ocean and try some of the sports for the first time. The event included a beach cleanup, group hula, and yoga, as well as food and gear from local sponsors. The event culminated in a celebration and fundraiser for The DREAM Project that was held at the beautiful Velero Beach Resort. The beach cleanup resulted in 20 bags of garbage being picked up off the beach in La Boca proving that this event is positively impacting our small surf community and preserving our natural playground. This environmental focus included the participants and members of the community. In addition to supporting the local environment, more than US$8,000 was raised in support of DREAM Summer Schools and Camps <http://www.dominicandream.org/highqualityprimaryeducation>, educating more than 1,100 at-risk youth. DREAM is so proud to collaborate with our Butterflies every summer, raising both awareness for women in water sports and raising much-needed funds for local youth participating in innovative summer programs. The way this event brings the community together, there is simply none other like it,” said Jonathan Wunderlich, Director of Development for DREAM project.